Everybody talks about Bitcoin nowadays. They use words like “miracle”, “tremendous”, “unbelievable” and so on to depict the prospects of cryptocurrencies. Some false prophets predict that its price will be chopped in half very soon and they use technical analysis to prove their point. Others naively predict that cryptocurrencies will substitute money and Blockchain will substitute core banking system. All it takes is to announce that your company is going to use Blockchain, and your stock prices could drastically surge overnight! The hype is that big, that even several of my clients in Black Belt Investments were almost “seduced to the Dark Side of Bitcoin”. In this article I’m going to tackle its technical and its financial nature. I decided to put this in writing in order not to repeat myself again and again when telling off somebody else who also wants to invest into Bitcoin. Also, since recently its price dropped quite significantly, so it’s high time to publish this article: maybe it can prevent some impulsive decisions. If you are technically savvy, I apologize for a maybe too simplistic explanation. I added these technical details, because I saw that many people who praise Bitcoin and Blockchain simply don’t have a clue what all this about. And we decided to make sure that nobody can change any line. Each line is called a block. In cryptography there is class of functions named hash-functions. When you apply such a function to a block, you get some gibberish. This gibberish will change significantly if you change the block even a little bit. For example, MD5 hash of “line 1” is “22b597f64a2484189f4e3b9a3e0bc73a”, and for “mine 1” (just one letter was changed) is “5bd6c84598094b4b749832cc38969741”. So, we calculate hash of “line 1” (hash1). Then we add hash1 to “line 2” and calculate hash of this combined line (hash 2). Then we use hash2 the same way when we calculate hash of “line 3” and so on. 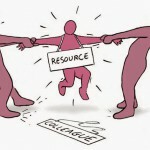 What can we achieve by doing this? If some villain wants to change some line, he has to recalculate all the hashes of subsequent blocks. If the chain of blocks is long enough and the blocks are stored in distributed system, hacking it becomes a very tough nut to crack. This was a very simplified explanation of Blockchain and it models only the main chain. In fact, this directional list allows also so-called orphan blocks aside (please refer to the picture). Many people, including some of my friends and clients, repeat studied statement: “Blockchain is the technology of the future!” What they do not fully understand, is that yes, Blockchain is a great technology to secure data, but with quite limited area of use. It is effective to make sure that some data stays unchanged, but absolutely useless in majority of cases where we need to delete and update the data. That is quite simple: Bitcoin uses Blockchain to store and secure its own transactions. So, the blocks of data in the system look like this: “John Doe bought 10 bitcoins”, “John Doe sold 5 bitcoins” and so on. Yes, yes, all what it does, Bitcoin just secures itself. This tells me one distinct fact: Bitcoin is a thing in itself. It is not connected to some real world, it is not backed by anything; it is just a decentralized accounting system. No, it is not. Real currencies have legal status. Bitcoin was not legalized as a currency. Many people would retort that you can buy things for Bitcoins. True. But this itself doesn’t make Bitcoin a currency. Yes, some businesses accept bitcoins and sell you goods for them. But they do it only to increase their own private stashes of bitcoins. They cannot pay to any vendor with bitcoins, they cannot pay taxes with bitcoins. Bitcoin for them is a means of barter. It is not a currency. Will it Ever Become Legal? Printing money in every country is monopolized (Fed in U.S., Bank of Canada in Canada and so on). If somebody else wants to coin their own money, it is 100% illegal. Put yourself into the shoes of any center-bank: would you deliberately waive your power? I guess, the answer is no. Moreover, such a precedent can become very detrimental: the next day after you legalize Bitcoin, everybody will be able to create their own currencies. The history already knows examples of such a chaos: for instance, U.S. was flooded with gazillion of different currencies in 19th century before U.S. dollar became the only currency. So, my own conclusion is that Bitcoin will never become legal currency. And now let’s look at this from the point of view of videocards manufacturers. Say, you can sell a video card at a price of $100. 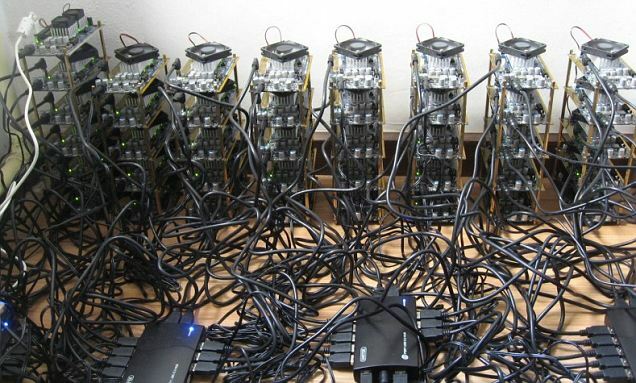 If somebody buys it and uses for Bitcoins mining, it will break even, say, in 2 months. You, as a manufacturer, give a warranty of 12 month. So, the buyer can use it for at least 10 more months and generate, say, $500 of net income. What is the minimum price you should sell this video card at? I would say, if you don’t sell the videocard and instead use for mining yourself, you will get at least $500. So, there is no point to sell it cheaper. That’s exactly what has happened to video card prices. The demand increased, and manufacturers detected the reason and increased prices accordingly. Mining became unprofitable. And since nobody mines Bitcoins anymore, the amount of bitcoins became constant. To be more precise, the amount of Bitcoin is almost constant: still some people mine it, and there are some huge mining farms in China (which, I guess, should belong to video card manufacturers, who can get video cards dirt cheap). That’s simple. Just imagine some thresholded resource (above we discussed why the amount of bitcoins is almost constant), which demonstrated growth from its inception. People look at it, see its constant historical growth, and decide to buy. The fact that the amount is thresholded coupled with their desire to buy makes its price higher. Indeed, you have to pay more than the previous owner did in order to convince him to part with this resource and sell it to you. Then next portion of speculators knows about such a precious resource: they also want to buy. And this in turn makes the price to surge again and again. And so on. The miracle is very simple: speculative demand on some limited amount of Bitcoins. It is not bad, if you are not the last one to buy bitcoins at insane price (the historical maximum was about $20,000). In my opinion, what happens now is that people started to understand that there is no bright future for Bitcoin. I think, that in foreseeable future its price will stabilize at significantly lower mark. It will never get to initial next-to-nothing values, because there are always some believers (or I would call them “people with cognitive dissonance”), who will buy bitcoins and wait hoping that the miracle happens and it becomes a legit currency. If my assumption (3) is correct, then Bitcoin will drop further. And the last, but not the least, if you share this opinion, stay away from Bitcoin. P.S. I have been thinking what kind of caption image should this post use. 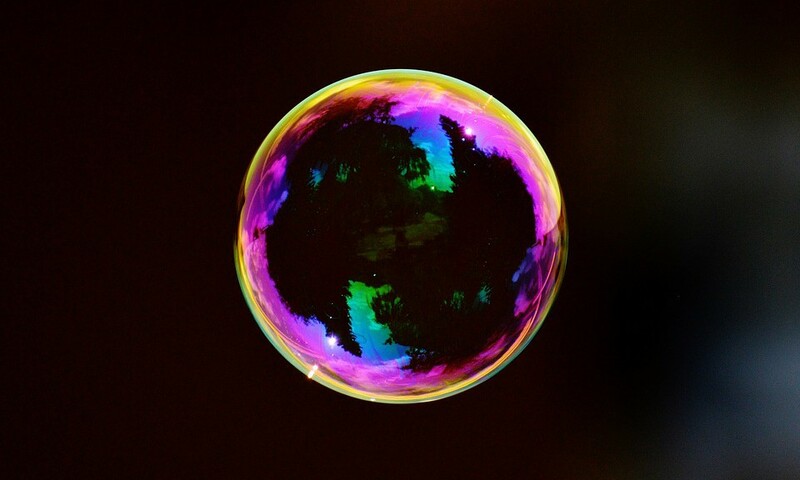 Finally, I asked my wife and after one or two seconds of thinking she said: “Soap bubble”.